As a dance teacher, you will often find yourself in the position of having to choreograph a dance for 3 year olds. 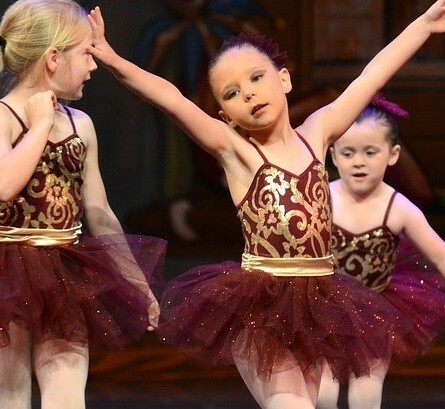 This can be tricky and at times frustrating, but here are some tips for teaching this age group a dance that they can do at your annual concert. Choreography at this level is difficult, especially if they are in a group. First of all, they need to concentrate long enough to learn the steps, and then repeat the item until they know it. As you know most children don’t like to repeat the same thing over and over again and this is why you need to start the dance early enough in the year to give you enough time to work on it for a few minutes each week. At this level, their knowledge of different steps and how to execute them is fairly limited, so do yourself a favor and don’t make the routine to complicated – you will only give yourself grey hair. Just remember before you start that your little ballerinas, no matter how cute or smart they are will not and cannot be expected to do any technical ballet steps. By realizing this, you will be in a better mental place when you start that two-minute dance that feels like it is taking two years to teach. What Types Of Steps Will They Manage? The best way to start a dance for 3 year olds is to take steps out of their regular class as they are familiar with these. With this age group, it is best not to throw too much stuff at them that they don’t know or they will be overwhelmed and lose interest. Children love stories, so try and let them dance a story. This way they will learn quicker than just trying to teach them a long dance that makes no sense to them. What About Music For A Dance For A 3 Year Old? Choose music with a simple and clear beat, and something that they can learn to count to and dance in time to. Don’t get fixated on counts. Leave lots of music to get into place and complete sequences. It always takes longer for younger children. They won’t remember how many of anything they have to do, so don’t get to fixated on this. Leave enough time in the music to allow them to think of what the next step is and then start performing it. I love to use music with lyrics as you can tell the children when they say this in the music do this which also helps. If you sing while you dance or make up a song while you dance this can also help the children immensely. They can even sing the steps they are doing to help them to remember. Words to match a dance can work wonders. Remember that your aim as a teacher doing a dance for a 3 year old is to make sure the children have fun, learn something and make them feel proud when they achieve something. The best part will be putting them in a pretty costume and letting them show off for their parents. It is definitely not about getting any sort of perfection out of them for your own personal gain. Putting a three-year-olds the stage with your dance for 3 year olds can be quite a daunting experience. No matter how much you prepare them for the event, you just never know what they are going to end up doing out there. It may be a good idea to go on with them to guide them or try sending on an assistant to help. Even using one of your seniors is a good idea, in case they forget their steps. I have learned over the years of teaching little ones that it is not what they do out there that is important, but more the experience that the little ones have on the stage that is going to matter in the long run. Try to think like this – the audience doesn’t expect them to do miracles on the stage, but they enjoy watching them anyway because they are so cute and they try so hard at what they do to get it perfect. Encourage your little ones to enjoy what they are doing and don’t let them be scared to make mistakes. After all, you are there to encourage their love for performing and not make them scared to go out on stage again in the future. Remember that your aim as a teacher doing a dance for a 3 year old is to make sure the children have fun, learn something and make them feel proud when they achieve something. The best part will be putting them in a pretty costume and letting them show off for their parents. It is definitely not about getting any sort of perfection out of them for your own personal gain. For more ideas for little people click here. First, you have to choose the music and write down the words. After that, teach words and movements together. Your moves should be simple enough so that children can easily copy. Yes, you are right Riga. Using music with words always helps this age group to remember their choreography.